Because of the environment created by the dental team and Dr. Nick, most of our patients at Lone Tree Pediatric Dentistry are comfortable, confident and calm while at the office. We have designed the office with an underwater theme so that it is fun for our pediatric patients. Additionally, the team and Dr. Nick have countless hours of training and experience providing dental care to infants, children, adolescents and those with special needs. Everyone at Lone Tree Pediatric Dentistry enjoys work and chooses to work here because we are excited about making our patients feel relaxed and accepting of dental treatment. For this reason, the majority of our patients are calm while at the office and look forward to their next dental visit. 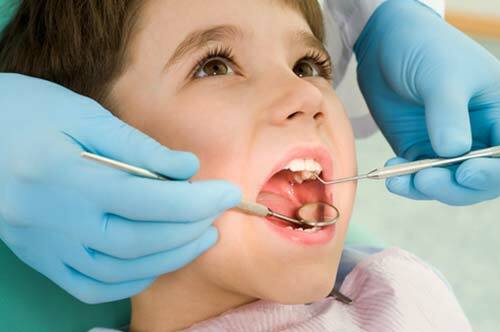 Occasionally, however, a child may feel anxious before or during dental treatment. A child who is particularly nervous or unfamiliar with dental treatment may require additional support in order to feel calm and comfortable. Nitrous oxide/oxygen and oral sedation are two mechanisms that can be employed to provide this additional support. Both techniques are incredibly safe and very effective at minimizing internal fears for a patient and maximizing communication between the patient and Dr. Nick. If your child would benefit from either of these additional means of support while receiving dental treatment, Dr. Nick will discuss the details, risks and benefits of both options with you to select the best modality for your child.